An expertly told, hard-to-watch true crime series, "Delhi Crime Story" won't be for everyone — but it won't let go of anyone who watches. The details of the attack are held back until you can stomach it. Though the first scene of “Delhi Crime Story” shows Indian police officers picking up two beaten bodies, discarded on the side of the road without any clothes, and asking what happened, the explanation given is only half the truth: “Six men got on our bus and beat us,” the man says, wrapped in a bloody sheet. Only later does writer/director Richie Mehta elaborate on the nauseating actions (officially labeled by the police as “heinous”) taken against the young couple. If he had done it earlier, people might have turned off the show. Or, in the case of the Tuesday morning Sundance premiere, they may have left the theater. Inspired by the case files from the riot-inducing 2012 incident, “Delhi Crime Story” (picked up by Netflix out of the festival) tracks a “crime that took the city to the brink,” and it’s easy to believe a tipping point is unavoidable after two episodes. Detailed, tightly paced, and intense in subject matter and attitude, the dark, shadowy streets of Delhi are captured in vivid, unblinking detail; Mehta efficiently introduces a foreign land and makes it relatable, familiar, and terrifying all at once. But beware a binge — the story’s potency isn’t easily digested. The first two hours lay out the police force’s beat-by-beat reaction to an assault that a few officers describe as like none they’ve seen before. As the citizens of Delhi start to learn what happened, and the police furiously pursue various leads, the steady escalation surrounding the case is well-captured. You’ll feel the pressure mounting, like you’re right there with the cops, especially passionate lead investigator Vartika Chaturvedi (Shefali Shah). Once the investigation kicks in, the propulsion of incremental discoveries keeps you hooked, but Mehta wisely flashes back to 12 hours before the incident to better flesh out the primary characters and the city they’re responsible for protecting. Varkita is a devout officer; she swings by routine traffic checkpoints to make sure the beat cops are doing their jobs. When they’re not — smoking weed while cars pass by sans inspection — she acts quickly, reprimanding them and their immediate superior while calling for replacements. The streets she’s guarding are far from safe. There’s a growing distrust in the police to adequately protect the people, and citizens expect many are on the take. (One stopped driver is none too discreet about offering a bribe.) But there’s no budget for extra cops — hell, there’s no budget to pay the electric bills at the station. Everyone is working extra hours, unpaid, and the force is so strict about enforcing these extended shifts they won’t even let a 20-plus-year veteran take 20 minutes off to get medicine for his wife. The perception of control is a battle the cops are losing, and Varkita is feeling it. She’s also dealing with a not-so-disconnected issue at home. Her daughter has been accepted to a college in Toronto and wants to leave; she hates living in Delhi, complaining that she can’t walk outside after dark and risks getting blatantly felt up on the subway even in broad daylight. But Varkita fears if her daughter leaves Delhi, she’ll never come home. So she makes a deal to show her the safe, good parts of the city during the three weeks before she has to tell the college her decision — if she convinces her daughter Delhi is safe, or at least safe enough, she’ll stay. So when this crime pops up — in Varkita’s inbox, in the news, and thus on her daughter’s radar — the veteran commanding officer takes it personally. Of course, the abhorrent nature of the act (which Varkita describes as “demonic”) certainly sparks its own vengeful thoughts, though it’s notably the Indian women who flash the most anger. And they should. The injustice shown here is extreme, and the prejudice light, yet cultural. Varkita understands the fear in the victim’s voice better because she’s a woman living in this city, in this world, and “Delhi Crime Story” appears ready to explore these elements more in later episodes. For now, it’s a granular, arresting cat-and-mouse game, where the cats are starving and the mice have rabies. Like the similarly titled but utterly disconnected “American Crime Story” before it, Mehta’s series uses the specific mistakes and grievances to build a broader picture of a city in peril; of systemic and cultural issues in need of serious response. The series is toeing a difficult line: The crime is so awful it’s alien, yet still meant to be emblematic of a larger problem within the city. How the later episodes draw out these comparisons and contrasts will define whether it’s more than a well-told cop story. So far, “Delhi Crime Story” appears on track to be much more. 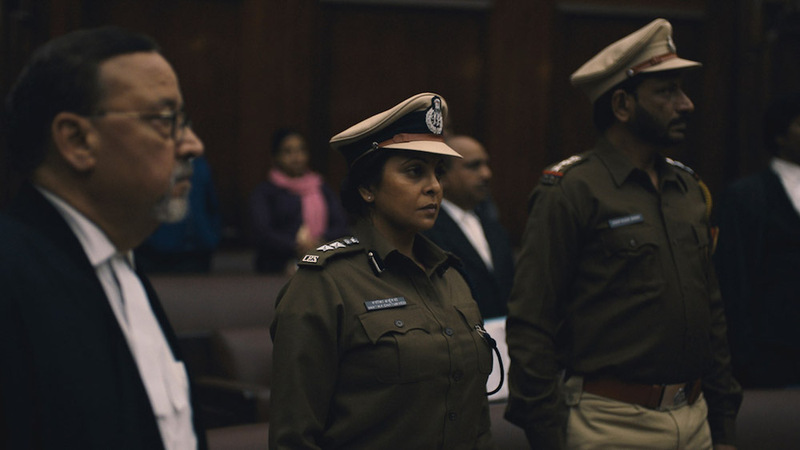 “Delhi Crime Story” premiered its first two episodes at the 2019 Sundance Film Festival. The full first season will be available March 22, 2019 on Netflix.